I have no idea why I wanted to make Mac & Cheese. I never really crave it, honestly. I guess I just wanted to make a side dish that could go with most anything. Because I’m in the Weight Watchers world these days, I went to my trusty source: Skinnytaste.com. 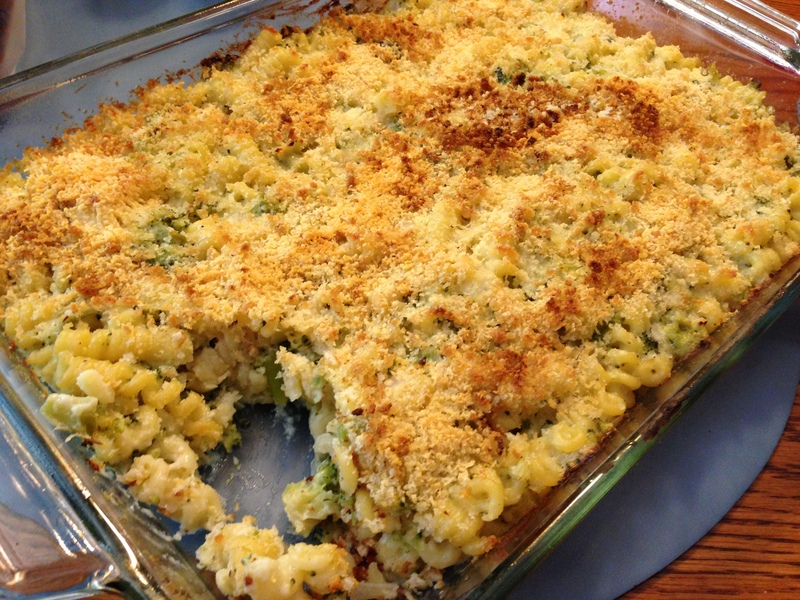 Her Skinny Baked Mac & Cheese with Broccoli seemed easy enough to make (it was) and I knew it would be tasty (it was). She hasn’t let me down yet. Here comes the honesty police: I’m not sure if I used the reduced fat cheddar or not. I’m pretending I did and then only had a 1/4 cup serving to make that make sense in case I didn’t use the reduced fat cheese. I know what you are thinking: How in the world would she NOT know what kind of cheese she was using? I found half a block of cheese with less than half of the label in a baggy. In the real world where you’d be certain of what kind of cheese you were using, one whole cup equals 8 points, which is kind of high for me. I’d recommend making this less of your main meal and cut your portions down so you can have more to eat of something else. 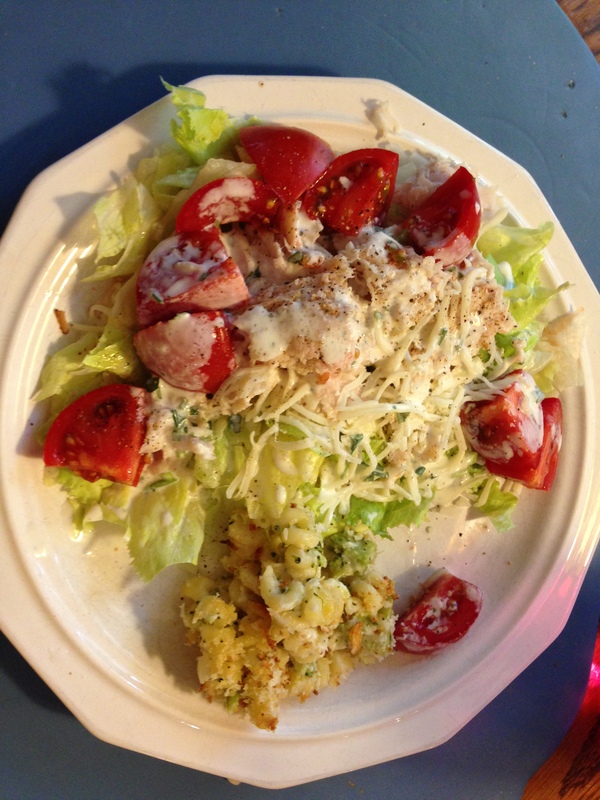 For example, I made a big ‘ol salad and added some deli turkey, tomatoes, skim shredded mozzarella cheese, and used some of Skinnytaste’s Skinny Herb Buttermilk Ranch dip for the dressing and had 1/4 cup of the Mac & Cheese. I’m guessing (remember that pesky cheese issue?) that this lunch equaled 9 points (Mac & Cheese-4; turkey-1; dip-3; mozzarella-1). Hope y’all enjoy this one!